Kairos USA warmly welcomes Hind Khoury as the new Secretary General of Kairos Palestine. Khoury brings to the global Kairos movement a wealth of experience. 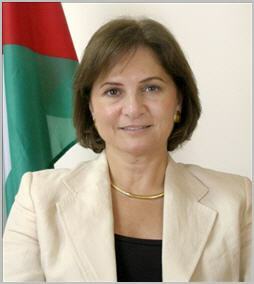 She has served with the United Nations in economic and human development, as Minister of Jerusalem Affairs for the Palestinian National Authority, and as the Palestinian ambassador to France from 2006-2010. Khoury has also served as board member of Sabeel-Jerusalem and is currently on the board of Bethlehem Bible College. Other present day roles are president of the Arab Research Institute in Jerusalem and president of the Bethlehem Rotary Club. 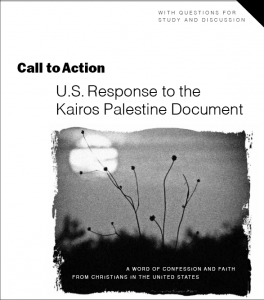 Khoury sees great hope in Kairos Palestine’s global partners. She points to their commitment to boycott, divestment, and sanctions, following the successful example of the South African churches in their liberation struggle. She also commends from response by global partners to the call from Palestinian civil society for economic solidarity. And Khoury repeats the invitation for partners around the world to “come and see injustice and its consequences, but also to understand the Bible through Palestinian eyes, Palestinian theology on the ground,” and how the “Living Stones” are working for human rights and compliance with international law. Thank you for providing this informative article regarding Hind Khoury and her new position with Kairos-Palestine.